Our finishing department has the ability to put just about any finishing touch on our customer's screen printed and/or embroidered garment. Sharprint has highly skilled graphic designers to help the client achieve the final custom decorated garment they want. Learn more about our art services. This program combines the resources of Sharprint and Sanmar, to create a simplified ordering process - from quality blank to the final decorated product. 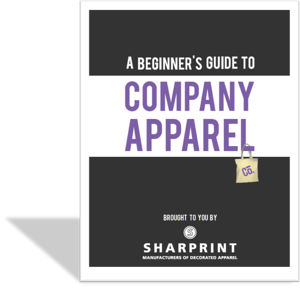 Learn more about free shipping with Sharprint.